The heat's been continuing after dark and into the mornings, causing what meteorologists call "tropical nights." Authorities reported more than 3 million deaths of livestock, while vegetable prices doubled due to supplies being affected. 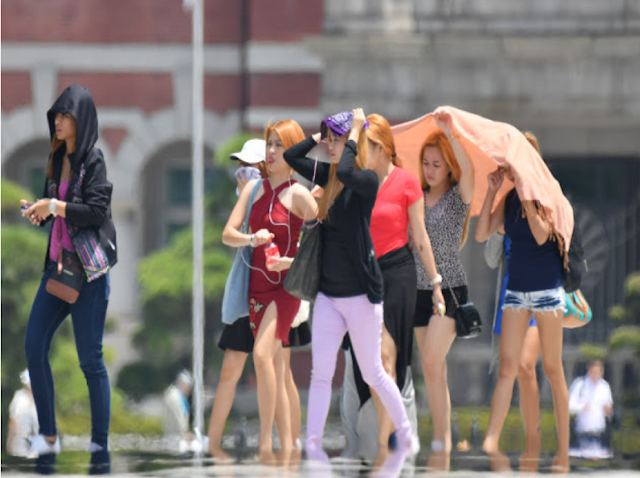 Temperatures eased up on August 5 and 6, with showers in some regions. It'll be a little cooler from now on, especially in the morning, meteorologists said. In neighbouring North Korea, state newspaper Rodong Sinmun said that this year's high temperatures are an unprecedented natural disaster. The North Korean government has called on its people to wage an 'all-out battle' against a record heatwave as the country's already fragile crops face drought and the authorities struggle to respond.